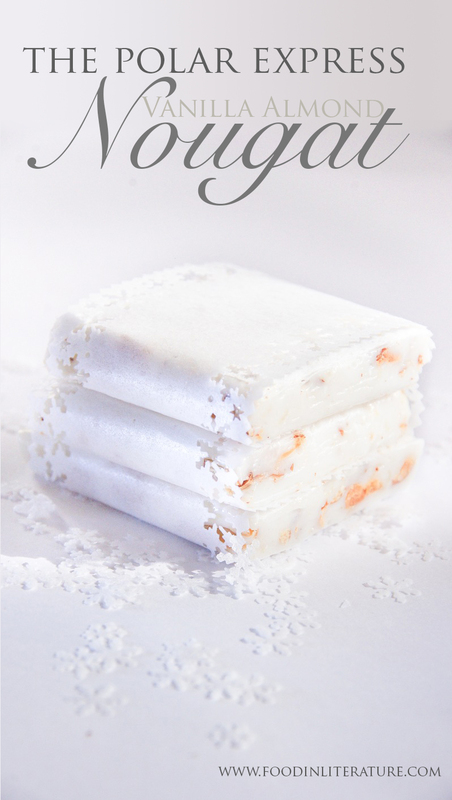 We sang Christmas carols and ate candies with nougat centers as white as snow. Ah, Christmas. It’s the time of powdery white scenes out a frosted window. The time for hot drinks to be cupped in fingers, begging to be warmed after an afternoon outdoors tobogganing down the backyard hill. The house smells like you’ve just opened the door of a bakery entwined with the warmth of pine. The gentle deep crooning of Dean Martin or Bing Crosby. That’s how I remember my childhood (and boy did we have an awesome backyard hill!). But where I live now? It’s forecasting 37oC this week. We switch hot beverages with long cool sips of icy drinks to get through the day (note to self: need to make Christmas tasting cold drinks…) The pool is looking mighty inviting. And baking? * takes in a deep breath * ok, let’s do this. Fortunately I learnt from last year and made nougat before this 30C+ weather began. Nougat last year drooped. Because rule #1: Don’t make candy when it’s high humidity. And what did I do? I made it when the humidity was high as a kite. Can’t avoid the humidity? Buy a dehumidifier or turn on the air conditioning several hours beforehand. Before you begin, do two things. First, read through this recipe carefully so you know what happens in what order. Second, measure and lay out all your ingredients. Line a 18x28cm slab pan with non stick baking paper and lay down rice paper. I used about 2.5 sheets for the bottom, and later, the same on top. Over medium heat, add to a saucepan the sugar, water and glucose syrup. Place a sugar thermometer in the pan. Turn the heat up to high until it reaches a boil, then reduce to medium heat again. Meanwhile fill the sink with cold water so when the sugar reaches the correct temperature, you can place the pot in the water to stop the sugar from continuing to cook. Place the egg whites in a stand mixer and attach the whisk attachment. Watch your sugar carefully. When it reaches 120C, turn the mixer on medium-high speed so the egg whites will eventually get thick peaks. Lift the mixer head so it's not in the way when you go to pour the syrup. When the sugar temperature reaches 140C, remove the pan from heat, place in the cold water for a moment. Then pour the sugar in a thin stream into the mixer. Turn the mixer on medium-high for several minutes, into the mixture is thick and glossy. Turn off and use a wooden spoon to stir in the chopped almonds and vanilla essence. Straight away, pour the nougat mixture into the rice paper lined pan so the pan is covered. Place on the additional rice paper and press down gently so the nougat smooths out. 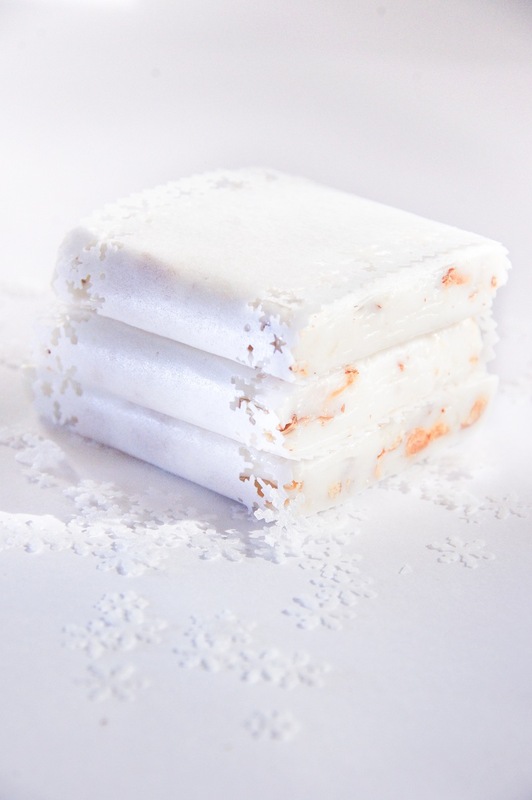 Edible Packaging: The wrapping around the nougat in the photo is the same rice paper used in the recipe. If you're a crafter, take one of your snowflake or Christmas themed edging punches to punch out the design.